According to Corrs Chambers Westgarth partner Christine Covington it’s probably time for federal environmental protection agency. Covington is not alone. In a recent article, she notes that the federal Labor Party suggests we need a US-style federal EPA. However, recent experience suggests the states and territories might be less than supportive if you look at recent attempts to create nationally-harmonised workplace health and safety laws, enforcement of the National Construction Code and other initiatives. What industry experts have noted over the years is that when there’s talk of nationally-applied standards for regulation, oversight and enforcement proposed for adoption by states and territories, it is almost impossible to get agreement on what the standards should be. The states and territories that are ahead of the game generally don’t want to lower their bar, and those that are lagging don’t want to catch up. There is also the vexing problem of states and territories not wanting the federal government to dictate how they should carry out their responsibilities and activities in areas including environmental regulation. In the majority of jurisdictions, an Environmental Protection Agency has the task of enforcing both state and federal environmental legislation. For example, endangered species and biodiversity protection is covered by federal legislation and is then interpreted by the states within state instruments including planning rules, prescriptions for state forestry, biodiversity offset policies and other regulations. Furthermore, not all state and territory EPA’s are equal on governance, activities or missions. Queensland doesn’t even have an EPA at this point, as it was scrapped as a distinct authority and its functions brought under the auspices of the Queensland Department of Environment and Science. It’s also worth noting that while a US-style EPA for national oversight sounds like a good idea, recent experience in the US has shown that a federal government can act quite quickly to reduce its effectiveness and thereby also impact states with strong environmental policies. We have already seen our own federal government step in to over-rule state decisions blocking developments. So what are the states doing anyway? The Fifth Estate did a survey of the various state and territory EPAs through the eyes of a member of the public to find out how the agencies are positioning themselves as guardians of the environment. One aspect considered was to what extent the agency or body has publicised any enforcement activities over the past month. In Queensland, the Department of the Environment and Science has not taken any major enforcement action in the past four weeks that has been publicised. And this is the department that has on the ground responsibility for ensuring Queensland mining operations adhere to environmental conditions. The department also administers the state’s controversial biodiversity offsets scheme, the mechanism by which a development is given permission to cause damage to an area and its species in exchange for contributing to the protection of an area elsewhere. A consultation is currently being carried out as part of a review of the scheme – have your say here. Compared to Queensland, the NSW EPA appears to be quite busy in terms of regulatory enforcement and ongoing action on areas of concern including reducing waste to landfill, assessing contaminated sites (including those with PFAS contamination), and issuing fines and taking legal action against companies breaching the state’s environmental legislation. The NSW EPA is an independent statutory body within the Environment portfolio and is part of the Planning and Environment Cluster. It also has a board that’s independent of the government that includes environmental science experts, legal experts and other expertise. Victoria has a similar arrangement, where the EPA is a statutory body with a board that is independent of the government and features high-level expertise in science, ecology, sustainable development, environmental law and governance. The Victorian EPA is also extremely busy on the enforcement and compliance front, including the issuing of fines and undertaking legal action in the past four weeks. South Australia’s EPA either had no issues with breaches of environmental regulations in the past four weeks or chose not to publicise any action. The only published enforcement action in the past six weeks was a fine issued for operation of a sunbed that did not meet the applicable regulations. The SA EPA is an “independent environment protection regulator” according to its governance information, and is governed by a board representing business, the community, local and state government. The Western Australian EPA has just five members – a full-time chairman, a part-time deputy chairman and three part-time members. These members are appointed by the state governor on the recommendation of the minister for the environment. Its governance information states that it’s independent and “not subject to direction by the minister”, nor are the members public servants. As for roles and responsibilities, oversight and enforcement of environmental regulation is not explicitly one of its functions. The publicised activities bear out the notion that enforcing environmental regulations is not part of the remit, with public communications for the past two months involving a series of approvals of various development proposals. The Northern Territory’s EPA is a relatively new and independent authority, established under the Northern Territory Environment Protection Authority Act 2012. It consists of a chairman and four members appointed by the administrator of the Northern Territory and the chair of the NT Planning Commission. It has not, however, publicly communicated any enforcement activities for breaches of environmental regulations in the year to date, although compliance and enforcement are specifically mentioned as key functions. Tasmania appears to be blessed with either perfect compliance by industry with environmental regulations, or its EPA is keeping quiet about any enforcement and compliance activities. Established in 2008, it comprises a board and a director, who “exercise powers at arm’s length from the state government and have independent statutory powers”. In its stated mission and activities, the role of the EPA in Tasmania as an enforcement body appears downplayed, with a strong focus instead on working with industry to enable and regulate sustainable environmental management. The ACT also does not have the same scale and scope of potential environmental issues as a state like Queensland. There’s no mining, no large-scale commercial fishing, no large-scale commercial agriculture and no heavy industry. Its EPA is a statutory body within the ACT Government’s Environment and Sustainable Development Directorate. It concerns itself with issues such as noise, dust, waste and water pollution. But it’s not communicating much in this regard to the public. So why does public communication about enforcement matter? Like the old saying goes about the tree falling in the forest with no-one around, it can be questioned whether taking enforcement action without being seen to do so has less impact on awareness-raising than would be ideal. Essentially, if companies do not see any consequences for their peers for breaching environmental regulations, it is likely the slip-shod operators and cowboys are unlikely to change their ways. There is a good governance dimension also for EPAs to communicating publicly around the carrying out of key activities. Chief executive of specialist governance consultancy, Effective Governance, Zac Zahner, tells The Fifth Estate that communicating activity is something his firm always discusses with boards. It’s part of taking a triple bottom line approach to corporate social responsibility, he says. It is also a key element in effective stakeholder engagement. He says as a general principle, organisations should “communicate as much as possible” about what they are doing, which also ensures there are “no surprises” down the line. When it comes to environmental regulation and oversight, Zahner says relevant bodies need to be talking to the community, also to state and local governments and not-for-profits. There also need to be two-way channels so the organisation can understand the effect the community has on its own operations. Boards also need to be prepared to “move with” community organisations when issues emerge – the recent dialogue around banks being a good example. Zahner says one of the things that can wrong generally in communicating around polluting – or avoiding polluting – is in many companies and organisations the people carrying out communications activities are the marketing or crisis management teams, and the messaging becomes, therefore “almost too slick”. “There has to be a trust level behind the messages,” he says. Organisations need to think about all the stakeholders and the messaging, and “get in front of the messaging” – not just be in reactive mode. They also have to be trustworthy, he notes. All of the state and territory EPA’s and state and territory governments are currently engaged in some level of activity around PFAS contaminated sites as part of a national push to address the issue in some way. In NSW, the EPA’s ongoing audit of potentially contaminated sites keeps revealing new areas of contamination. Earlier this month, it announced that PFAS contamination has now entered the groundwater at the site of a former electro-plating facility in Georgetown, Sydney. In Victoria, there’s also an ongoing audit underway, and in good news for ducks heading into the official hunting season, PFAS contamination found at some of the state’s wetlands and water bodies that are popular with duck-hunters has resulted in notices being issued that suggest waterfowl in those areas should not be eaten. Perhaps we are being overly optimistic in thinking this might reduce the death toll from duck hunting and be one of the few positive consequences of legacy PFAS. Nation-wide, the latest map of PFAS contaminated sites compiled by researchers associated with Friends of the Earth shows the problem is far vaster than the RAAF and airport sites that were the focus on initial media reports last year. The federal government released the final report of an inquiry into PFAS contamination in and around Defence bases and other locations at the end of last year. 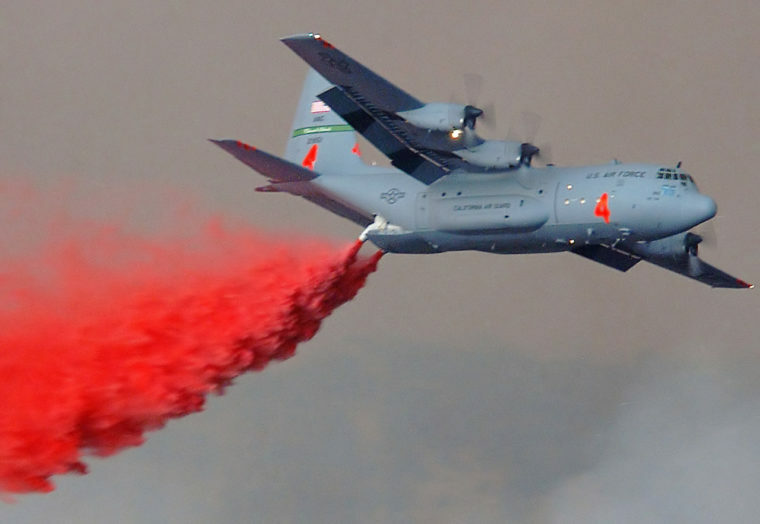 Legislation and policies to ban or restrict PFAS-based fire-fighting foams. Initiate an independent review of environmental regulation of Commonwealth land focused on enhancing regulatory oversight and responses. The federal government is also currently carrying out consultation on the draft of version two of the PFAS National Environmental Management Plan. Published in February this year, the plan has been developed following agreement by the state and federal environment ministers. Read the plan and find out how to have your say here. Comments close 31 May 2019.